This article will enlighten a unique construction material i.e. the flexible concrete also known as bendable concrete. This material can bring the revolution because of its some special quality such as flexibility, self-healing, lighter weight, etc. In some countries such as Japan, Korea, U.S.A, etc the flexible concrete is used in many structure. But in India it is still a new material and requires proper research for its use in India. Soon we may saw the use of flexible concrete in many structure. Concrete is widely used in today’s construction industry. It has good load bearing capacity. It can take the compressive load very effectively. But the main problem with the traditional concrete is that it cannot take much tensile stresses. It fails under the tensile load. The flexible concrete is a good substitute for this problem. It is special type of concrete that can take the bending stresses. It consist of special type of materials that makes it flexible. It was developed by the Professor Victor Li at the University of Michigan. Its engineering name is Engineered Cementitious Composite(ECC). It exhibits the property of a ductile material instead of a brittle material which is shown by the conventional concrete. For giving the concrete flexibility we have to alter the material of the conventional concrete. In the flexible concrete we eliminate the coarse aggregate. 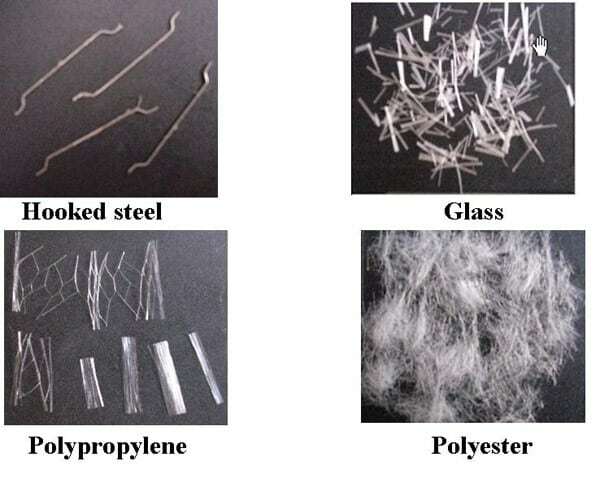 Instead of that we use the fibres that are used in the fibre reinforced concrete such as silica fibres, glass fibres, steel fibres, asbestos fibers, polyvinyl alcohol fibers, etc. The micro fibres provide the flexibility to the concrete. It also act as a reinforcement material in the concrete. Additionally the slick coating (anti-frictional coating) is provided so that the fibers particles can slide over one another and does not have the friction which may result into the cracks in concrete. This tendency of slipping of fibers over one another helps the concrete to minimize the crack and provide flexibility to the concrete. The normal cement can be used for the concrete. The fine silica sand is suitable for the flexible concrete which is used in the water treatment plant but if it is not available the normal sand can be used but it may effects the strength and flexibility of concrete. We can also add fly ash, silica fume, blast furnace slag can also be used in the concrete. Polycarboxylated ether, lignosulfonates, lignin, napthalene or melamine formal dehyde sulphonate(any one) is used in the concrete for increasing the workability of the concrete. 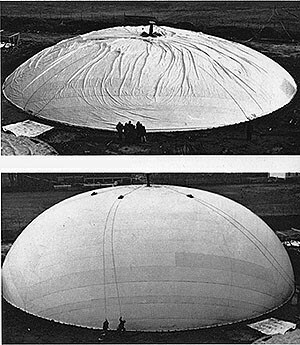 Latex can also be used in the concrete for improving its flexibility. It does not emit that amount of harmful gases as compared to conventional concrete. It can be used as precast concrete. It has a high initial cost as compared to conventional concrete. It requires skilled labor for its construction. It needs some special type of materials which can be difficult to find in some areas. Its quality depend upon the material used and the condition under which it is made. Its compressive strength can be lesser than the conventional concrete. The bending strength or tensile capacity of flexible concrete is in the range of 10 to 15 MPa and compressive strength is upto 70 MPa. It has a self-healing property as the cement particles make reaction with the rain water and makes some complex product that expands and fill the microcracks that are developed in the flexible concrete. The flexible concrete is proved to be lighter and also proved to be 500 times more flexible than normal concrete. Its ultimate tensile strain capacity is 3 to 5 %. The strain capacity in flexible concrete is 300 times more than conventional concrete. Due to this the concrete is act like a flexible material such as metal. 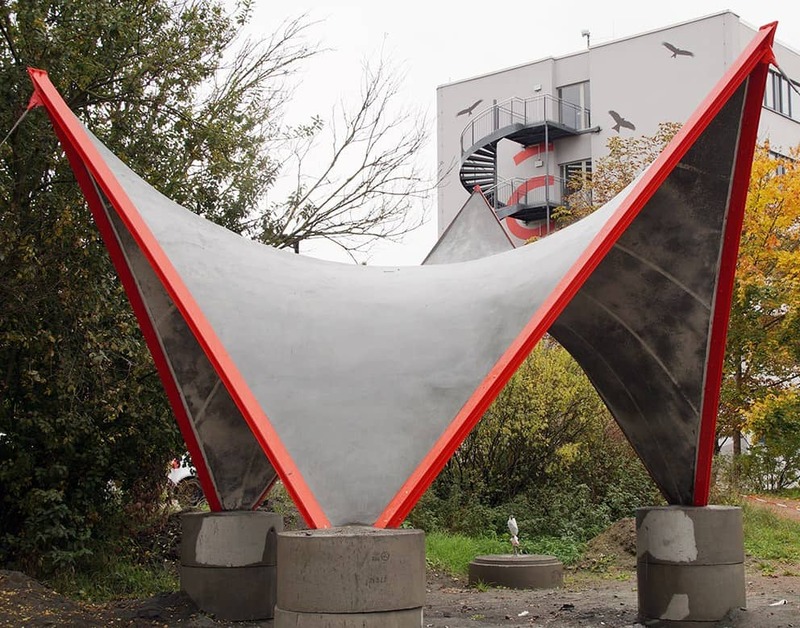 Earthquake resistance building: The structure made with the flexible concrete can take more tensile stresses that it does not break down due to the vibration caused by the earthquake. In Japan a 60 floor is under construction which uses this concrete. Concrete canvas: The concrete canvas can also be made with the flexible concrete. The concrete canvas is stronger and durable than the normal canvas. It can be used in the military area. For roads & bridges: It can be used in roads and bridges. With the use of flexible concrete in roads and bridges there is no need of joints such as expansion joint, contraction joint as the concrete is itself have the ability to change its shape. Moreover the bridges and roads are more durable and has low repair cost. Durability The normal concrete structure are less durable. The flexible concrete structure are more durable. Earthquake resistance The structure made with the original concrete are prone to earthquake. They generally forms cracks or may collapse during earthquake. As the flexible concrete does not break easily by the earthquake motion. So the structure made with the flexible concrete are more earthquake resistance. 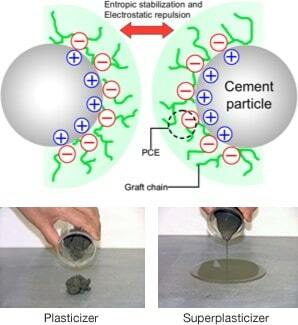 Self-healing property The normal concrete has very low self-healing property as it has very low free cement concrete. The flexible concrete has a very good self-healing property as it can heal the micro-cracks itself by the reaction of carbon dioxide and water. The repair & maintenance cost of concrete structure is high as it developed cracks and other defects. The repair & maintenance cost of flexible concrete is less as it does not develop that much cracks. Reinforcement The steel bar reinforcement is require for taking the tensile load. 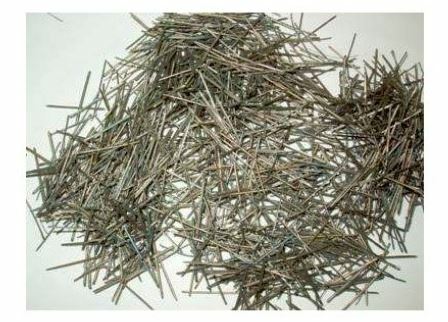 The fibre reinforcement can provide the require tensile strength in the concrete so less or may be steel reinforcement is require. 2 What is Flexible Concrete?